Lamsan is a steadily growing company looking for people committed to quality and excellence. If you are a team player and willing to contribute your talent and grow with the company, join the Lamsan team! Note: Those who wish to apply should prepare the following: resumé, application letter, certification from previous employer, and other pertinent credentials. • To properly operate the WTP equipment and ensure water treatment output conforms to the quality requirements..
• Must be a Vocational Technology graduate or with at least (2) years in college. • Must be between 20 - 30 years old. • Must have at least six (6) months of relevant experience in machine operations. • Graduate of a 4-year technical course, an advantage. • Ability to learn new ideas fast and with high mechanical aptitude. • With good interpersonal relationship skills. • To properly operate the Steam Turbine Generator equipment and ensure constant supply of power for the plant. • Implements mechanical plans, directs, and coordinates activities concerned with design, fabrication, modification, and maintenance of equipment and machinery. • Must be a graduate of BS in Mechanical Engineering. • Must have at least two (2) years of relevant experience in plant engineering operations. • Must possess strong leadership and supervisory skills. • Preferably a Licenced Engineer. • Experience in Safety Engineering. • Responsible for the installation, erection, and maintenance of electrical machinery and equipment and all other electrical jobs, in the most efficient, safe and cost effective manner. • Must be a graduate of BS in Electrical Engineering. • Must know how to read, analyse, interpret, and write electrical diagrams. • Must have a thorough knowledge in troubleshooting and repair of plant equipment. • Must have leadership and good interpersonal relationship skills. • Good in decision making, safety conscious, and has initiative. • GPreferably a Government Licensure Examination passer. • To provide support in the installation, preventive maintenance and repairs of power plant equipment and machinery. • Can interpret mechanical designs. • Must have at least one (1) year of relevant experience as mechanic. • Knowledgeable in troubleshooting heavy machineries. • To provide support for the control and instrumentations maintenance and troubleshooting requirements of the power plant. • Must be at least a Vocational Course graduate or must have attended two (2) years in a technical college course. • Must know how to read, analyze, and interpret electrical diagrams. • Must have thorough knowledge in troubleshooting and repair of electrical plant equipment. • Graduate of a control and instrumentations course, an advantage. • With training on calibrating monitoring and measuring equipment. • To properly operate the Fuel Handling Plant equipment and ensure constant supply of fuel for boiler. • Responsible for uninterrupted operations of the power plant through monitoring and control from the control room. • Must be an engineering course graduate (BS in ME, OR EE,). • Must be between 23 - 35 years old. • Must have at least one (1) year of relevant experience in plant operations. • Analytical, flexible, and results oriented. • To ensure availability of the required quantity and quality of treated water for the uninterrupted operations of the power plant. • Must be a graduate of B.S. degree in Chemistry, Biology or other physical science. • Extensive knowledge of laboratory procedures, testing instrumentation, and experimental design and controls. • Advanced writing, reading and math skills including statistical analysis. • Ability to interpret, analyse, reason, and plan. • To properly operate the Boiler equipment and ensure constant supply of quality steam. © 2015 Lamsan Power Corp. All Rights Reserved. This Web site is provided by LAMSAN Incorporated (LAMSAN) and may be used for personal, non-commercial and informational purposes only. By using or accessing the site or downloading materials from the site, you agree to abide by the terms and conditions set forth in this Agreement. If you do not agree to abide by these terms and conditions please do not access, use the site or download materials from the site. Subject to the terms and conditions set forth in this Agreement, LAMSAN grants you a non-exclusive, non-transferable, limited right to access, use and display this site and the materials thereon. This site does not, and it is not intended to provide any financial, legal, accounting or tax advice and should not be relied upon you in this regard. LAMSAN authorizes you to view and download the information ("Materials") at this Web site ("Site") only for your personal, non-commercial use. All information is protected under relevant copyright laws. Except as may be provided on this site, no one has permission to copy, transmit, display, perform, license, create derivative works from, distribute, reproduce, sell or republish any information found on this site without the prior written consent of LAMSAN Solutions. LAMSAN does not grant any express or implied right to you under any patents, trademarks, copyrights or trade secret information. Names, phrases, logos, icons, graphics, images or designs, used throughout the site may be tradenames, registered or unregistered trademarks or service marks of LAMSAN, its subsidiaries or affiliates. The display of such tradenames, registered or unregistered trademarks or service marks is not an implied license to any third party for their use. Any retransmission or alteration or any other form of unauthorized copying may be a violation of the law and such users may be subject to legal action. The information contained on the pages of this Site is subject to modification and update from time to time without notice. LAMSAN does not guarantee or ensure either the accuracy, completeness, currency or authenticity of any site content, site functionality, or your transmission of any site content from the site to you. The materials may contain inaccuracies and typographical errors. LAMSAN does not warrant the accuracy or completeness of the materials or the reliability of any advice, opinion, statement or other information displayed or distributed through the site. You acknowledge that any reliance on any such opinion, advice, statement, memorandum, or information shall be at your sole risk. LAMSAN reserves the right, in its sole discretion, to correct any errors or omissions in any portion of the site. LAMSAN may make any other changes to the site, the materials and the products, programs, services or prices (if any) described in the site at any time without notice. This site, the information and materials on the site, and the software made available on the site, are provided "as is" without any representation or warranty, express or implied, of any kind, including, but not limited to, warranties of merchantability, non-infringement, title or fitness for any particular purpose. Third parties may destroy or alter data or information or the site itself by infecting it with viruses. LAMSAN will not be responsible for the same. As a convenience to you, LAMSAN may provide, on this Site, links to Web sites operated by other entities. If you use these sites, you will leave this Site. If you decide to visit any linked site, you do so at your own risk and it is your responsibility to take all protective measures to guard against viruses or other destructive elements. LAMSAN makes no warranty or representation regarding, and does not endorse, any linked Web sites or the information appearing thereon or any of the products or services described thereon. Links do not imply that LAMSAN or this site sponsors, endorses, is affiliated or associated with, or is legally authorized to use any trademark, trade name, logo or copyright symbol displayed in or accessible through the links, or that any linked site is authorized to use any trademark, trade name, logo or copyright symbol of LAMSAN or any of its affiliates or subsidiaries. All links to the Site must be approved in writing by LAMSAN, except that LAMSAN consents to links in which: (i) the link is a text-only link containing only the name "LAMSAN, Inc."; (ii) the link "points" only to www.lamsan.com.ph and not to deeper pages;(iii) the link, when activated by a user, displays that page full-screen in a fully operable and navigable browser window and not within a "frame" on the linked website; and (iv) the appearance, position, and other aspects of the link may neither create the false appearance that an entity or its activities or products are associated with or sponsored by LAMSAN nor be such as to damage or dilute the goodwill associated with the name and trademarks of LAMSAN or its affiliates. LAMSAN reserves the right to revoke this consent to link at any time in its sole discretion. IN NO EVENT SHALL LAMSAN OR ANY OF ITS SUBSIDIARIES BE LIABLE TO ANY ENTITY FOR ANY DIRECT, INDIRECT, SPECIAL, CONSEQUENTIAL OR OTHER DAMAGES (INCLUDING, WITHOUT LIMITATION, ANY LOST PROFITS, BUSINESS INTERRUPTION, LOSS OF INFORMATION OR PROGRAMS OR OTHER DATA ON YOUR INFORMATION HANDLING SYSTEM) THAT ARE RELATED TO THE USE OF, OR THE INABILITY TO USE, THE CONTENT, MATERIALS, AND FUNCTIONS OF THE SITE OR ANY LINKED WEBSITE, WHETHER ARISING OUT OF CONTRACT, NEGLIGENCE OR OTHER TORTIOUS ACTION, EVEN IF LAMSAN IS EXPRESSLY ADVISED OF THE POSSIBILITY OF SUCH DAMAGES. LAMSAN reserves the right, at its sole discretion, to change, modify, add or remove any portion of this Agreement in whole or in part, at any time. Changes in this Agreement will be effective when notice of such change is posted. Your continued use of the Site after any changes to this Agreement are posted will be considered acceptance of those changes. 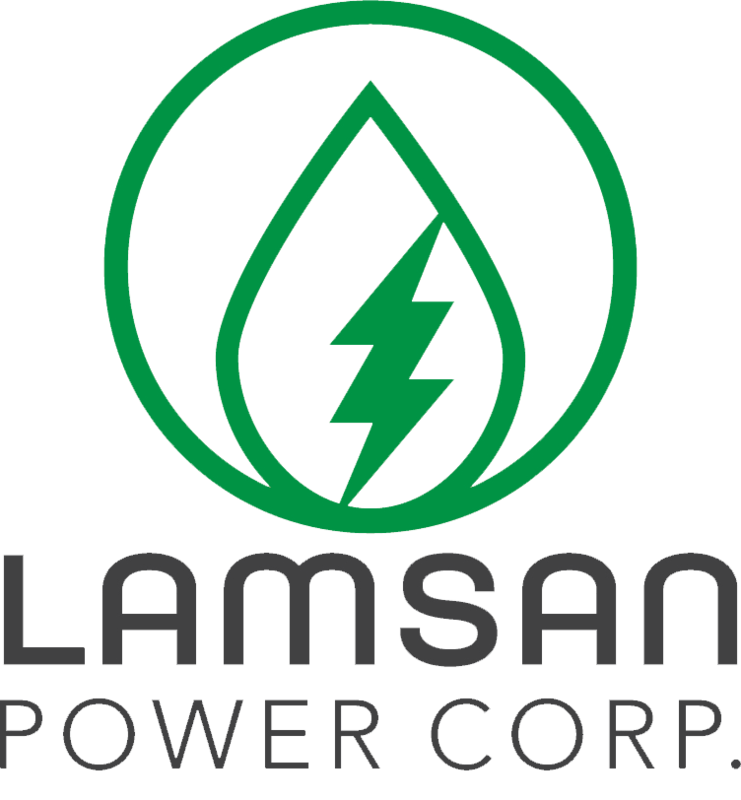 LAMSAN may terminate, change, suspend or discontinue any aspect of the LAMSAN Site, including the availability of any features of the Site, at any time. LAMSAN may also impose limits on certain features and services or restrict your access to parts or all of the Site without notice or liability. LAMSAN may terminate the authorization, rights and license given above and, upon such termination, you shall immediately destroy all Materials. This Site is controlled, operated and administered by LAMSAN from its offices within the Republic of the Philippines. LAMSAN makes no representation that materials at this site are appropriate or available for use at other locations outside of the Philippines and access to them from territories where their contents are illegal is prohibited. If you access this Site from a location outside of the Philippines, you are responsible for compliance with all local laws. These Terms and Conditions of Use shall be governed by the laws of the Republic of the Philippines. This Agreement constitutes the entire agreement between LAMSAN and you with respect to your use of the Site. Any cause of action you may have with respect to your use of the Site must be commenced within one (1) year after the claim or cause of action arises at the proper court sitting in Quezon City, Philippines, to the exclusion of all other tribunals. If for any reason a court of competent jurisdiction finds any provision of the Agreement or portion thereof, to be unenforceable, that provision shall be enforced to the maximum extent permissible so as to effect the intent of the Agreement, and the remainder of this Agreement shall continue in full force and effect.